This piece, an ashen hand holding a murky crystal ball, draws on lines from the Leonard Cohen song, ‘The Future’, which says, ‘Things are going to slide, slide in all directions. Nothing you can measure any more’. It was done with MS Paint and Adobe Photoshop. In 1998, the EU passed a Directive establishing the legality of DNA patents in European law. DNA patenting constitutes a commercial incentive for life science research and forms part of a wider commercial restructuring of life science research infrastructure. The patent field has been characterised by a relative institutional homogeneity promoting commercial incentives as vehicles for scientific innovation. Public consultation has been used extensively to democratise the governance of life science but not in relation to DNA patenting. Based on data from the first set of interviews with the general public in Europe on DNA patenting, we argue that public consultation in this area could benefit policy making by introducing greater awareness of the plurality of views on commercial incentives for research prevalent in the general public. Some people express concerns about commercial incentives for research, especially in health and medicine. We demonstrate that some of the concerns seem justified when viewed in the context of current developments; therefore, we argue that public consultation could inspire a more socially robust research infrastructure which is more conducive to maintaining public trust. However, there is a tendency to limit the use of public consultation to issues relating to specific technologies (rather than the infrastructures bringing them about), possibly because here the active participation of the general public is needed in the roles of consumers or donors – rather than as citizens providing a counterweight to techno-bureaucracies. The central notion of this article is that of “decision” as a means to shape one’s life and life biography. Decision is considered to be a prominent feature of contemporary society and the one through which we exercise our autonomy as a right to self-determination. Decisions, however, require information. In contemporary society, information is readily available but the effective use of that information often requires the help of others. Furthermore, as decisions transform into action again we often need others. These “others” must decide for themselves whether to help or assist us as an expression of their autonomy. These concepts of autonomy, decision, information and the other are key notions which we need to understand the role of self-determination in our society. We are accustomed to having legal frameworks which guide, facilitate and limit us in selecting information, making decisions and exercising self-determination. In this article the legal framework of euthanasia, as it exists in the Netherlands, is taken as a case study to illustrate the role of information with respect to the notion self-determination. This article explores how the abundance of information available to us in contemporary society has an impact upon the decisions we make and, more often than not, must make. The Maroon and Rastafari peoples, two communities with significant similarities and differences, are increasingly making demands for recognition of cultural and intellectual property rights from the Government of Jamaica (GOJ). In doing so, they seek to effectively manage and control the commercialisation and commodification of their respective cultures by members and non-members of their communities, both nationally and internationally. The GOJ and some citizens as well as non-Jamaicans view the respective cultural heritages of these communities as a part of the wider cultural diversity and heritage of Jamaica, to be controlled and managed by the GOJ. Part I of this Article attempts to define ‘indigenous people’. It asks in particular whether Maroons and Rastafari are indigenous peoples and/or entitled to the rights of indigenous people. Part II of the Article seeks to identify the traditional knowledge (TK) and traditional cultural expressions (TCEs) possessed by the Maroons and Rastafari and asks who owns them. Secondly, it asks whether and on what basis those resources need to be protected. Why is protection necessary and against what? Part III of the Article assesses whether TK and TCEs can be adequately protected by existing Jamaican intellectual property laws. It also examines whether the amendment of those laws and/or policies of the GOJ is necessary in order to achieve adequate protection of the cultural resources of the Maroons and Rastafari. The Article concludes with a look at ongoing deliberations within the World Intellectual Property Organization (WIPO) Intergovernmental Committee on Intellectual Property and Genetic Resources, Traditional Knowledge and Folklore (IGC), and suggests international treaty provisions for the adequate protection of TK and TCEs. We have seen enormous growth in both the usage and creation of web resources in the last decade. Significant funds have been devoted to the creation of high quality academic web resources by both public and private sector organisation s. These have already benefited a large community of web users, researchers, students and teachers. In order to ensure continued access to this wealth of on-line resources, the web preservation community has already started making efforts to formulate and execute strategies aimed at collecting, processing and preserving today’s web resources so that they can be accessed with tomorrow’s technologies. This article reviews such initiatives, drawing a comparison between current web preservation practices and the ESRC-funded ReStore project, a sustainable web resources repository. Detailed consideration is given to issues including authorship of web page content (intellectual property rights, copyright), metadata generation and preservation, the selection of web resources, and accessibility to hidden pages on a web server. We present a possible short-medium term preservation model aimed at sustaining on-line research method resources developed as part of ReStore. The article considers the potential for evolution from the current rather disparate web preservation approaches to standardised “develop with a view to preservation” practices among web resource creators and the web preservation community. Mashups, songs created by combining pieces of two or more pre-existing sound recordings into one new sound recording, allow anyone with access to a computer and sound editing software to engage with and participate in the (re)creation of culture. Among other purposes, mashups allow individuals to critique artists, to make satirical statements on the nature of pop music or the music industry, to make new works out of existing cultural expression, and to craft homages to favourite artists or works. This article examines the extent to which mashups are permitted by copyright law in Canada. It is structured as follows. First, it will provide an introduction to mashups, defining the term and discussing the popular emergence of mashups. Second, it will examine whether mashups prima facie infringe copyright in Canada. Third, it will look at whether mashups are protected by the fair dealing defence. This article will demonstrate that many mashups created and disseminated in Canada prima facie infringe copyright. Furthermore, a large number of mashups that prima facie infringe copyright will not be protected by the fair dealing defence as it is currently being applied by Canadian courts. The question, therefore, of the extent to which the Canadian Copyright Act should be revised to permit individuals to create and disseminate mashups without infringing copyright merits discussion during Canada’s ongoing process of copyright reform. One possibility for reform is to incorporate a right to create and disseminate transformative works within the Canadian Copyright Act. Three years after the enactment of the Loi sur la confiance numérique (Loi No 2004-575, 21st June 2004) the French Higher Court faces the application of the rules concerning the liability of an Internet content provider. The judgement shows useful hints for a comparison between the French and the Italian tort system – shaped from the implementation of the European Directive on e-commerce. Biobanks have been troubled by a history of confusion and controversy around certain key concepts such as “broad consent”, and, more recently, “return of results”. This article analyses the return of results only as it pertains to the participation of (presumably healthy) volunteers in the creation of longitudinal biobank infrastructures for future unspecified research. Limiting ourselves to the trajectory of a typical protocol then that begins with: the arrival of volunteers at assessment centres for the collection of blood and the filling-in of extensive questionnaires on lifestyle, socio-demographic factors and family history; followed by long term storage; and finally the use by researchers accessing such biobanks (it is evident that it is necessary to distinguish between the different obligations that may arise at distinct moments in this trajectory). We posit that there are five types of communication, and we explore the best means of protecting the privacy of those involved in such biobanks, concluding that international policies are converging towards an ethical duty to return individual genetic research results to subjects, provided there is proof of validity, significance and benefit. This article analyses the recent High Court decision in L’Oréal v eBay, which is part of a Europe-wide string of cases initiated by L’Oréal against the online auction portal. The article focusses on the contentious questions of law which Mr Justice Arnold has referred to the European Court of Justice (ECJ) for clarification. His judgment makes several references to German cases. This article takes up this approach and compares the High Court’s judgment with the relevant German case law. The findings reveal some considerable differences between the two EU Member States. It will be argued that these deviations in the interpretation of the Directives alone underline how necessary the substantial referrals to the ECJ are to achieve consistency and clarity at the European level. The article will place the discussions about eBay’s liability for third party auctions into the wider debate about Internet intermediary liability at the European level. This author considers the Finnish courts’ approach towards cases involving Content Scrambling Systems (CSS). The relevant cases show from a procedural viewpoint how difficult it is to argue cases against major multinational media companies and how difficult it is to get clear technical facts correct in even simple circumvention cases. 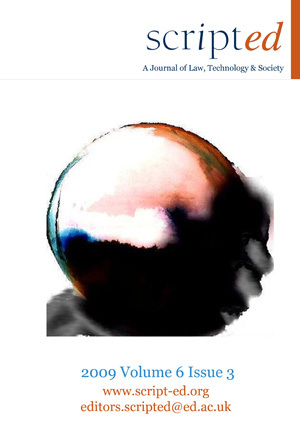 From a more academic viewpoint the cases give those interested in the subject a set of open questions on the legal limits of technological protection measures in Europe. The note discusses how the scope of anti-circumvention can be limited in practice. In addition to interpretative arguments within the anti-circumvention regulation, one can think of the limitations which come from constitutional law, consumer law and competition law. Also the growing popularity of creative commons and open source licensed works may limit the possibilities to use technological protection measures in the future. The author considers the recent House of Lords’ jurisprudence on “Biogen insufficiency”, arising from its 1997 decision in Biogen Inc v Medeva Plc, which holds that unless claims in the patent specification correspond to the teachings of the patent, the patent will be invalid.